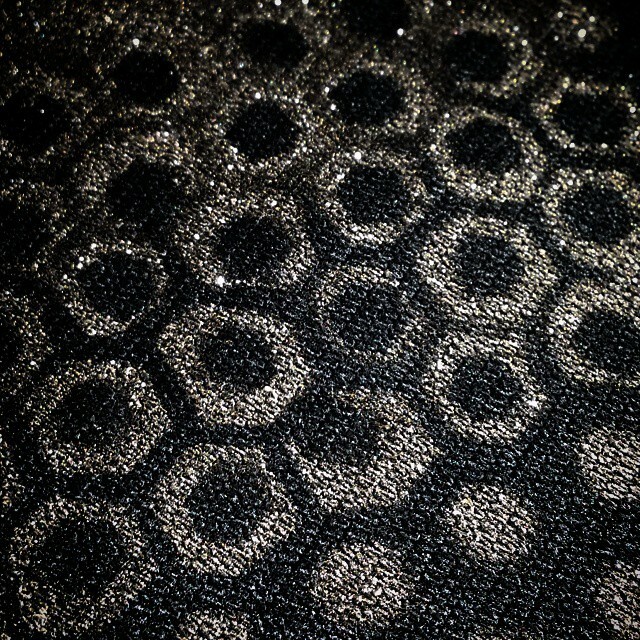 We continue our kids’ Tron costumes – this time, printing a pattern on fabric! Now that we have the base layers for the girls’ Quorra costumes (simple black long-sleeved T-shirts and leggings), it’s time to start dressing them up. Black duds and EL wire alone do not a costume make. Next step: patterning the base layer. 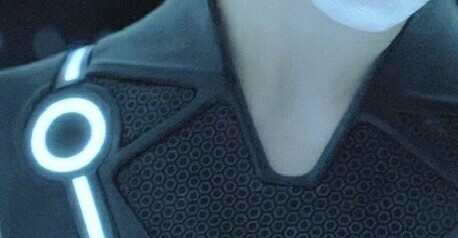 If you look at the super-suits from the movie, the base layer has a silver hex pattern on it. So tonight, I tried a quick test. I tried to make a mask using painter’s tape. I ran off a pattern in Photoshop, replicating roughly the size and scale of the pattern on the suit. It was long, laborious work to get the test mask cut, just using a craft knife. No way I could possibly cut enough by hand with any kind of quality or in any kind of reasonable amount of time. As I cut by hand, I thought about possibly doing the final mask on a laser cutter. Sticker paper (instead of painter’s tape on wax paper) and the cutter at Imagine Space would make the job a whole lot quicker and more accurate — if this test yielded any kind of promising result. So I cut some more and tried (and failed) to remove the sheet of tape I’d assembled from the wax paper. Turns out that wax paper isn’t the way to go for something like this — I’d have had better results if I’d simply have put the tape directly on my cutting board. But the results were certainly good, considering. Let’s call it promising. 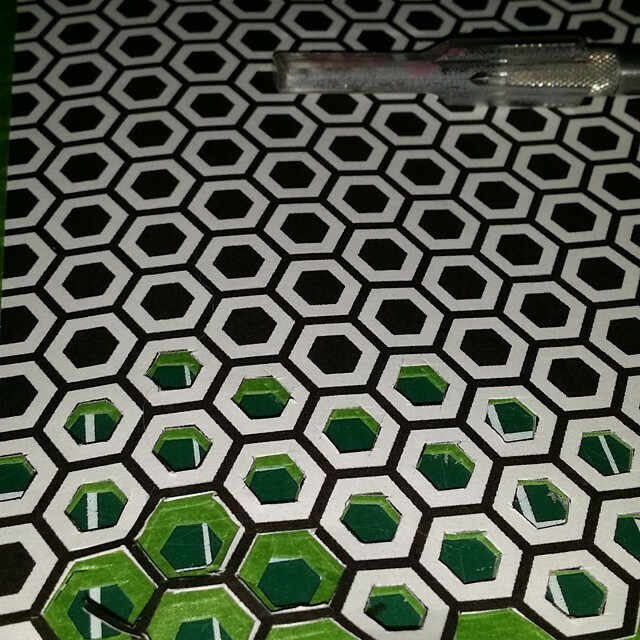 This without adhesive, proper cutting, or even finishing the masking. It was encouraging enough that I threw together a vector version of the pattern in SVG format. If it works out, I’ll post the file for others to use in making their own costumes. Next step — creating the cladding and top layers that give the suit its definition. Check out the experimentation and planning from part one of this project. 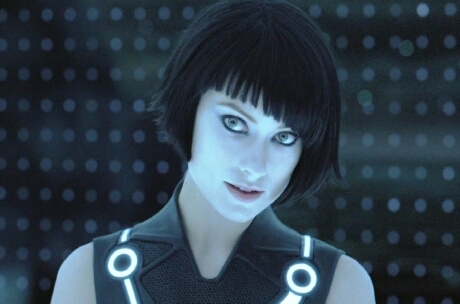 Tagged cosplay, Halloween, instagram, photo, quorra, tron, tron costume. Bookmark the permalink.